The Armoury: Who’s In Charge Here? Cleaning out my garage this week has been nothing short of a walk down memory lane. Going through old files, reviewing old letters, articles and mementoes from the past drew me once again into a world of memories. In particular, I was reminded of many of my earliest experiences as a pastor. When I first left seminary, I found myself having to deal with several doctrinal controversies - the greatest of which was the Lordship debate (as many called it then). In fact, it was during my first few years of pastoral ministry where I first experienced the intense heat that is often generated over this subject. The book The Gospel According to Jesus, by pastor John MacArthur, had been out for a few years already and had the approximate effect of spraying a wasp’s nest with a water hose - it got a lot of people buzzing mad and ready to sting anyone seen with it in their hand. I came to discover this very hostility right away, especially since I was confronted by scores of people who felt that I was personally obligated to answer for every noun, verb and preposition found in this book by MacArthur. For many, my credibility was deeply suspect because of my association with The Master’s Seminary, and they had the published books of Zane Hodges and Joseph Dillow to prove it. Frankly, you’ve not really lived until you’ve had the experience of returning from a trip with your family, only to find that a group of zealots have successfully passed around a petition seeking your removal as a pastor simply because they’ve come to realize that you’re a part of that ancient “cult” that is Reformed theology. This long battle was one that was governed too much by this matter of guilt by association (GBA), and orthodoxy by association (OBA). I found that behind all the sparks and smoke there was a more fundamental challenge concerning authority. You see, these controversies were not so much about the specific doctrines themselves, but were about this matter of heralding Christ and His Word above all else - above John MacArthur, Zane Hodges or any other individual that might be used in a battle of pastoral personalities. By this I mean that I came to realize that the real challenge would be to call people into a dialogue over Scripture - rather than into a dialogue over their scruples over some books written by men. In fact, it doesn’t really matter what the doctrinal controversy is - if you can’t resolve the principle of Solus Christus or Sola Scriptura then you won’t be able to resolve anything at all. As a pastor, I found that this was the chief end of my ministry - that in dealing with any controversy, it had to be my goal to call others to herald Christ above all other servants in the church, and with that to embrace the nobility of the Bereans by searching out the Scriptures as the sole rule of faith. I came to realize that the real question for any individual or any church is this: Who’s in charge here? If the answer to such a question isn’t Christ, who is the head of His church, then you have a most serious problem. Above all, if a pastor isn’t committed to communicating the absolute supremacy of Christ above all else (no matter what pressure there may be to do otherwise), then you have an exceptionally serious problem on your hands. I don’t care what controversy may ever raise its ugly head within the local church - if the principality of Christ and His word are not affirmed in the church, then all is lost. He is the Chief Shepherd. It is His church that was purchased with His own blood, and it is to be ruled by no other authority than His alone. Well those years have come and gone. The important lessons of those trials have deepened my love for Christ in so many ways and I frequently reflect on the Lord’s faithfulness through it all. 1. 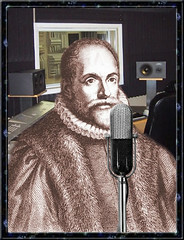 Election/ Hyper-Calvinism- This has brought much confusion to our listeners. There is no human answer to the Sovereignty of God and the free will of man. Both are clearly Biblical teachings but beyond our human comprehension. For every verse dealing with "God chose" there is one that says, "Whosoever will may come". To over emphasize either will cause confusion. As someone has written, "this doctrine God established outside of our world. It was designed before creation and we must leave it there". The best illustration I know is you look at a door and over the door it is written, "Whosoever will may enter". As you pass through the door and look back it is written above the door, "Predestinated from he foundation of the world". 2. One Naturism--Man only has one nature. We believe the Bible teaches man has two natures. The Old Man or old nature and the New Man, Christ Jesus. 3. His strong associations and identification with Reformed Theology. This has many implications for us. We hold to the dispensational positions in "rightly dividing the word of truth". As someone has written, "this doctrine God established outside of our world. It was designed before creation and we must leave it there". The best illustration I know is you look at a door and over the door it is written, "Whosoever will may enter". As you pass through the door and look back it is written above the door, "Predestinated from [t]he foundation of the world". 1. “Election/Hyper-Calvinism” - It is always amazing to me that many will automatically link the doctrine of election to Hyper-Calvinism. I am only amazed in view of the absence of common sense and graciousness that this represents, but I am not ignorant of what this is all about; it is attempting to establish a guilt by association relationship. Hypercalvinism is a very deadly spiritual disease, which smacks of an absence of Gospel proclamation. Before flinging such terms around, people ought to tread more carefully - the charge of hyper-calvinism is a serious charge which has nothing to do with historic Calvinism. It gives the believer great hope amidst the trials of life (Romans 8:28-39). It is a truth which magnifies God’s glory and removes all human boasting (Ephesians 2:1-10). It is a truth which heralds the matchless power and wisdom of God above all else (John 6:37-45). It is this very doctrine which gives us confidence that in Heaven there will be no repeat of the fall (Gen. 3), for the Lord will sovereignly keep His people in glory, forever without end (None will be so “free” as to fall in sin - Rev. 21:1-7). None of us are entitled to monkey around with God’s Word. There will always be doctrines that are difficult and challenging to our thinking; but instead of responding to doctrine by rejecting it, we must bow in humility and prayerfully labor all the more in our study and meditation. What we will never have is the authority to leave anything behind. If a man has a ministry at all, then he must herald Christ and His Word - no matter how loud the donors or members may be. After all, if we’re to have a Christian ministry then Christ alone must be in charge - period.